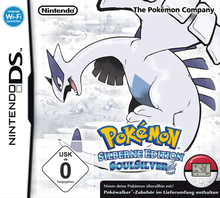 Note: Copy any of the above Pokémon Silberne Edition SoulSilver (Germany) rom download links and paste it into your browser to download. Nothing about the link, but my game freezes after entering the name (blackscreen). Any clue how to fix that?